Dr. Ben Abella studies sudden cardiac arrest, a leading cause of death that claims over 200,000 lives each year in the United States. 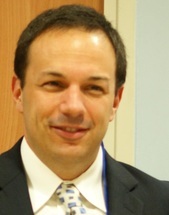 Specifically, projects within his clinical research team include: (1) evaluation of CPR and resuscitation performance, (2) testing new methods to teach CPR in the community, (3) prognostication of neurologic outcomes after cardiac arrest, and (4) methods to improve the application of therapeutic hypothermia. Dr. Ben Abella is also the developer and Medical Director of a novel training course for therapeutic hypothermia use in the hospital setting. Dr. Ben Abella has published over 100 scholarly works and textbook chapters, in numerous professional journals including JAMA and Circulation, focused on cardiac arrest and resuscitation. He has participated in developing international CPR guidelines through the American Heart Association. He has won a number of honors for his research, clinical care in the Emergency Department and his teaching of residents and medical students, and has lectured widely on the topics of cardiac arrest and post-arrest hypothermia treatment. The investigative work of Dr. Ben Abella’s team is supported by funding from the NIH and Medtronic Foundation, as well as industry sources. 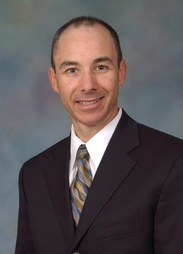 Dr. Bobrow is the current Chair of the American Heart Association Basic Life Support Subcommittee and the Medical Director for the Bureau of Emergency Medical Services and Trauma System at the Arizona Department of Health Services. He is the Director of the Maricopa Integrated Health Services (MIHS) Resuscitation Science Center and the Chair of the MIHS In-hospital Resuscitation Committee. He is a member of the Arizona Emergency Medicine Research Center and the Sarver Heart Center at the University of Arizona and Co-Investigator for the NIH-funded R01 EPIC Pre-hospital Traumatic Brain Injury Study. Dr. Bobrow is medical director of a Clinton Global Health Initiative to implement dispatch-assisted CPR across the U.S. and in 11 countries in Asia. 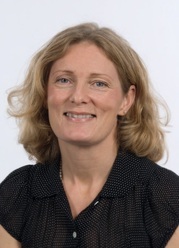 Katarina Bohm is currently a senior lecturer at Karolinska Institute, Institution for Clinical Science and Education, South General Hospital, Stockholm, Sweden. She is a Registered Nurse since 1989 and worked mainly at the Section of Cardiology, South General Hospital, Stockholm until 2006. Then she began her Ph.D. studies at Karolinska Institute, and defended her thesis 2009, with the title: "Bystander CPR. Different aspects on early treatment of out-of-hospital cardiac arrest", which includes a nationwide telephone CPR-study comparing standard CPR versus compression-only CPR. Since 2010 she has held the position as Postdoc and lecturer at Karolinska Institute as well as an assignment for SOS Alarm AB, the Swedish dispatch organization, for research and development. Kim Yeong Cheol, M.S., M.D., Ph.D.
Dr. Kim Yeong Cheol currently holds a position in the Trauma Center at the Seoul National Medical Center. Prior to that, Dr. Kim Yeong Cheol was a Clinical Professor in the Trauma Center at Seoul National University Hospital, Chief Professor of Department of Surgery and President of Breast Care Center at Boramae Hospital. He completed his Surgical Training in Tokyo in Endoscopic modified radical mastectomy and minimal invasive breast surgery at the Kanken Hospital Breast Center. Dr. Kim Yeong Cheol received his Masters in Surgery from Seoul National University College of Medicine Department of Surgery at Seoul National University Hospital and SungKyunKwan University School of Medicine Department of Surgery Samsung Medical Center. Dr. Kim Yeong Cheol is in the process of getting his Ph.D. in Health Policy Management, Research and Analysis from Seoul National University, College of Medicine. Dr. Kim Yeong Cheol is a member of the Korean Doctor’s Society, Korean Society of Surgeons and Nutritional Support Team of Seoul National University Hospital. He is the Director of the Korean Society of Endocrine Surgeons, Korean Society of Breast Cancer and Korean Society of Traumatology. Dr. Dana Edelson is a Hospitalist at the University of Chicago, where she serves as Associate Director of Simulation and Chair of the CPR Committee. She is a nationally recognized expert in cardiac resuscitation, with a focus on prevention and treatment of in-hospital cardiac arrest. Her work in measuring CPR quality and using team training and post-event debriefing to improve resuscitation quality has been widely cited. Cardiac arrest in-the hospital provides an additional challenge in that many of these events can be prevented. Dr. Dana Edelson’s work in predictive analytics harnesses electronic health record data to identify subtle changes in clinical stability and alert clinicians, in real-time, to patients at risk for cardiac arrest. 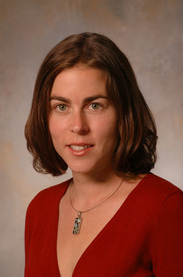 She is the recipient of numerous awards for her research and holds a Career Development Award from the National Heart Lung Blood Institute of the National Institutes of Health. Bryan F. McNally, M.D., M.P.H. Dr. Bryan McNally is currently an Associate Professor of Emergency Medicine at Emory University School of Medicine in Atlanta, Georgia. He graduated from Cornell University with an undergraduate degree in Meteorology. He began his formal medical education working as an Emergency Medical Technician and later a Paramedic in the Harlem and Washington Heights communities for the New York City Emergency Medical Service. Dr. Bryan McNally later graduated from the Albany Medical College in upstate New York and completed his specialty training in emergency medicine at the Albert Einstein College of Medicine in the Bronx, New York after completing an internship at Boston City Hospital. He subsequently completed a two-year pre-hospital and disaster/emergency medical services fellowship at Boston Emergency Medical Service. His Master’s of Public Health degree is in Health Service Administration from Boston University. Dr. Bryan McNally is board certified by the American Board of Emergency Medicine. Dr. Bryan McNally's areas of expertise are emergency medicine and pre-hospital and disaster medicine. Dr. McNally’s experience in these areas is broad, being the Executive Director of the CARES (Cardiac Arrest Registry to Enhance Survival) Program, a national out-of- hospital sudden cardiac arrest surveillance registry. He serves as a consultant to the Pan Asian Resuscitation Outcomes Study (PAROS) and completed a year long visiting professorship at Duke-National University of Singapore. Dr. Bryan McNally has provided community leadership in emergency and disaster response in the Atlanta metropolitan area and serves as Associate Medical Director of Emory Flight, Emory Healthcare’s emergency and critical care air ambulance service. 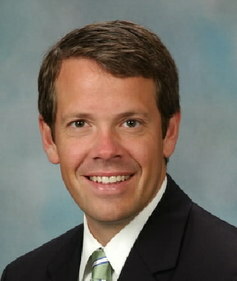 In addition to his academic and administrative duties; Dr. Bryan McNally is a practicing emergency medicine physician at Emory University Midtown Hospital, a tertiary care academic medical center and Grady Memorial Hospital, a public hospital with over 100,000 emergency department visits per year and a Level 1 trauma center. 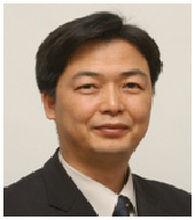 Dr. Hiroshi Nonogi is currently the Hospital Deputy in Shizuoka General Hospital. Prior to this position, he was the Chairman in the Department of Cardiovascular Medicine, Director in Cardiology and Emergency Medicine, Chief in CCU and Chief in Cardiology. Dr. Hiroshi Nanogi received his M.D. and Ph.D. from Kyoto University. Dr. Hiroshi Nanogi is a certified diplomate for the National Board of Medical Examination in Japan, Doctor of Medical Science from Kyoto University, Japanese Board of Internal Medicine, Japanese Board of Cardiology and Japanese Board of Intensive Care Medicine. 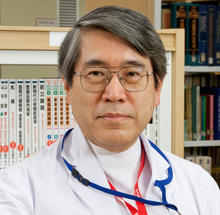 He is a Fellow of the Japanese College of Cardiology as well as the Japanese Coronary Association. Dr. Hiroshi Nanogi’s professional affiliations in Japan include the Society of Internal MedicineaHoSALKDFJLKSDJF, Circulation Society, College of Cardiology, Coronary Association, Heart Failure Society, Association for Acute Medicine and the Society of Intensive Care Medicine. 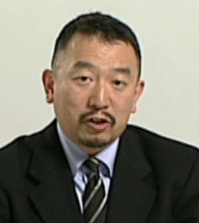 He is an executive member in the Japanese Resuscitation Council as well as an AHA member for the Council on Cardiopulmonary and Critical Care Medicine and on Clinical Cardiology. He is ITC faculty for AHA ECC BLS and ACLS, the vice- chair for the Emergency Cardiovascular Care Committee in JCS and AHA ECC Senior Science Advisor for the Handbook and ACLS materials. Dr. Hiroshi Nanogi was a an Associate Editor for the Journal of Cardiology and on the Editorial Board for the Circulation Journal. His current research interests include coronary heart disease, coronary care, acute coronary syndrome, interventional cardiology, heart failure, cardiovascular emergency medicine, resuscitation science and cardiac arrest in-hospital and out-of-hospital. 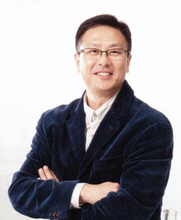 Sang Do Shin M.D., M.P.H., Ph.D.
Dr. 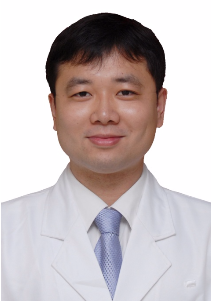 Sang Do Shin is an Associate Professor at Seoul National University (SNU), the director of EMS division, the director of EMS Laboratory at SNUH Biomedical Research Institute and the medical director of Seoul Metropolitan City Fire Department. As a co-chair, he leads a research collaboration network, Pan-Asian Resuscitation Outcomes Study; and is first chairman of Asian Emergency Medical Service Council (AEMSC). He is currently studying at Rollins School of Public Health of Emory University in Georgia, USA since 2012. Dr. Sang Do Shin finished his resident course at the Department of Emergency Medicine at Seoul National University (SNU) Hospital. He received his M.P.H. in Epidemiology at Seoul National University School of Public Health. He received his Ph.D. in Epidemiology at Kangwon National University School of Medicine. Dr. Sang Do Shin has published many articles with an emphasis on emergency medical services (EMS) medicine, trauma, and resuscitation science. He has conducted several projects on EMS-assessed out-of-hospital cardiac arrest in Korea since 2006 and EMS-assessed severe trauma registry since 2012. Dr. Hideharu Tanaka is currently a professor in the Graduate school of Emergency Medical Systems at Kokushikan University. He is in the Department of Emergency Medical System as well as the Depeartment of Sports Medicine at Kokushikan University School of Physical Education. He is the Co-Director of the Wellness research center and the Disaster prevention and EMS Research institute. Dr. Hideharu Tanaka is a member of the Board of Director’s of Japanese Society of Emergency Medicine, member and Vice President of the Pan Asian Resuscitation outcome study and Asian EMS Council. He is a member of the Pan Pacific surgical association, American Association of Surgical Trauma, American Burn Association, American Association Tissue Bank, International Society of Burn Injury and Japanese Society of Emergency Medicine. Dr. Hideharu Tanaka is Councilor of Japanese Association for Acute Medicine, on the Board of Director’s of Japanese Society of Tissue Transplantation, Vice President of Japanese educational society of paramedic education academy and President of the general foundation, Heart Saver Japan. He is a committee member of Resuscitation council, CPR public awareness, Layperson AED education and awareness as well as a committee chairman of CPR in school program and International collaboration for the Japan Foundatoin of Emergency Medicine. Dr. Hideharu Tanaka is also a committee member of Implementation Working Group for the All-Japan Utstein Registry of the Fire and Disaster Management Agency as well as a committee member of the educational council of paramedic and national examination of paramedic for the Health and Labor Ministry; as well as the past President of Japan pre-hospital trauma evaluation and care of the East Japan Branch. Dr. Hideharu Tanaka received the 25th SCCM Emergency Medicine Special Award. Dr. Hideharu Tanaka’s educational interests are pre-hospital and research medicine, trauma burn resuscitation, pre-hospital medicine, educational systems of pre-hospital care, disaster prevention, medical control of Paramedic Trauma, burn, paramedic education, skin bank and tissue bank. Dr. Tyler Vadeboncoeur is an Assistant Professor of Emergency Medicine at the Mayo Clinic School of Medicine. He practices and is the Director of Research at the Florida campus in Jacksonville. He is committed to the implementation of state-of-the-art resuscitation care for both out-of-hospital and in-hospital cardiac arrest. His current research efforts focus on maximizing the impact of dispatch-assisted CPR and optimizing CPR quality and outcomes from sudden cardiac arrest through the use of dedicated education and measurement and feedback technology. He has previously studied the pre-hospital management of traumatic brain injury. Dr. Tyler Vadeboncoeur is the chair of the Code Blue Committee at the Mayo Clinic Florida where he has a created and implemented a structured educational program to maximize outcomes from in-hospital cardiac arrest. He is an Associate Editor for the resuscitation section of the journal Acute Cardiac Care and was a worksheet author for the 2010 AHA CPR Guidelines. 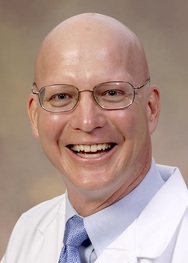 Dr. Frank Walter is a Professor of Emergency Medicine at the University of Arizona College of Medicine and Director of Clinical Toxicology at the University of Arizona Medical Center in Tucson, Arizona. Dr. Frank Walter is Co-Founder and Editor of the Advanced Hazmat Life Support (AHLS) Program that is co-sponsored by the American Academy of Clinical Toxicology and the University of Arizona Emergency Medicine Research Center. Since its first course in 1999, AHLS has taught over 14,000 interdisciplinary healthcare professionals from 63 countries around the world, including paramedics, physicians, nurses, pharmacists, and others. AHLS is the premier worldwide course teaching the medical management of patients exposed to hazardous materials, including chemical, biological, radiological, and nuclear agents. 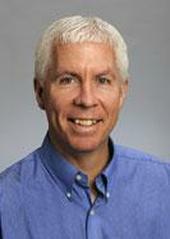 Dr. Frank Walter is an internationally recognized leader in medical toxicology and has taught on five continents. He appreciates the opportunity to collaborate with his Korean colleagues. 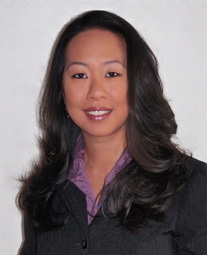 Dr. Teresa Wu is a graduate of the Johns Hopkins School of Medicine and completed her Emergency Medicine residency at Stanford University. She completed both ultrasound and administrative/simulation fellowships at Stanford University following completion of her residency training. She is currently the Director for the Emergency Medicine Ultrasound Program and Fellowship, and the Associate Residency Director for the Emergency Medicine Residency Program at Maricopa Medical Center in Phoenix, Arizona. She is also the Co-Director for Simulation Based Training for the Maricopa-Banner integrated simulation program, and an Associate Professor in Emergency Medicine at the University of Arizona, College of Medicine-Phoenix. Dr. Teresa Wu has served as the keynote speaker for numerous international educational conferences and her innovative research has lead to advances in both medical simulation and emergency ultrasound. Dr. Zhixin Wu is currently an Attending Physician of Emergency Medicine at Foshan Hospital of TCM in Foshan City, Guangdong Province, China. He graduated from Sun Yat-sen University and completed his specialty training in emergency medicine at Foshan Hospital of TCM, Sun Yat-sen Memorial Hospital Sun Yat-sen University and Guangdong General Hospital. His focus is on improving patient&#39;s outcomes from emergency medical conditions such as sudden cardiac arrest , acute ischemic stroke and serious trauma. ​Dr. Zhixin Wu was studying at the University of Arizona as a visiting scholar from August 2015 to February 2016. He is the Co-Director of the Cardiac Arrest Center at Foshan Hospital of TCM where he has created and implemented a system with his EMS and hospital colleagues to treat cardiac arrest patients and maximize their outcomes. He is also a core member of Foshan Municipal Emergency Medicine Association and Guangdong Province Disaster Medicine Association. He is the recipient of numerous awards for his research of Emergency Medicine from Foshan City government.